Superb angular design, with an English antique finish wall frame holding the amber and white opal glass. A truly stunning Art Deco design that will enhance any themed home. Designed specifically for the new 30% energy saving halogen candle lamps that are not being phased out and are fully dimmable on a standard wall dimmer. 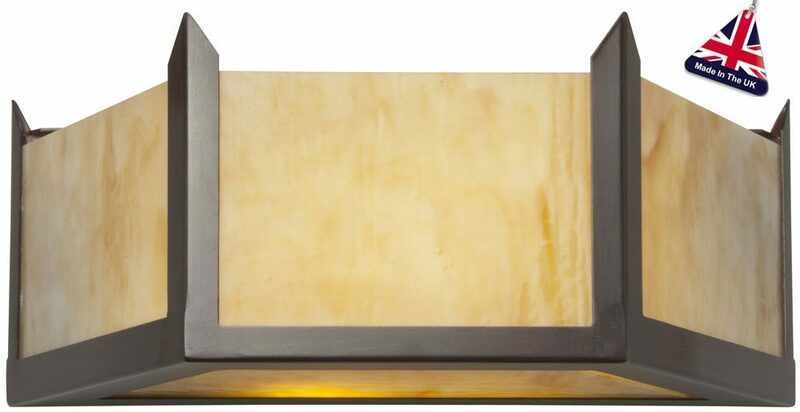 Part of the Hudson Art Deco lighting range, a wonderful hand-made in Britain, antique finish Art Deco style wall washer, with feature amber and white opal glass.